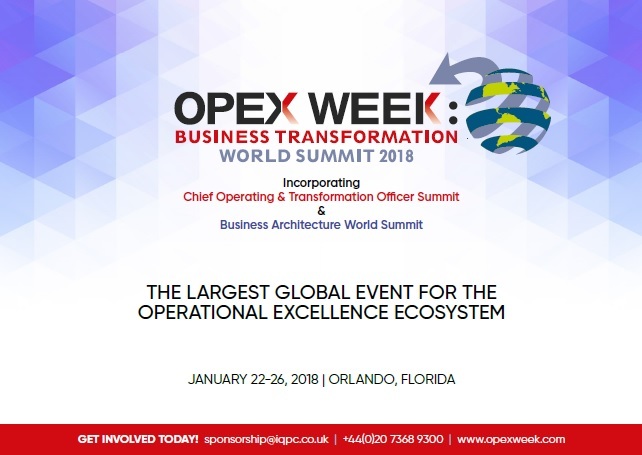 OPEX Week: Business Transformation World Summit is unique. It is the largest, most progressive event for this community, attracting over 800 attendees earlier this year. Sponsoring gets you face-to-face interactions with the entire decision-making unit (C-Level, OPEX, Business Architects). Even better, our attendees are actively looking for your solutions to improve their projects. We find active buyers, create and environment for you to engage with the right decision-makers, in a way that allows you to deliver a compelling business case. We’re the only organization that can deliver such a claim as we’ve been at the forefront of operational excellence and continuous improvement for 19 years, and we’re backed by 130,000 active community members.